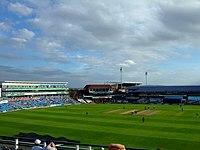 The 1979 Cricket World Cup (officially the Prudential Cup '79) was the second edition of the Cricket World Cup and was won by the West Indies, who had also won the inaugural tournament four years earlier. 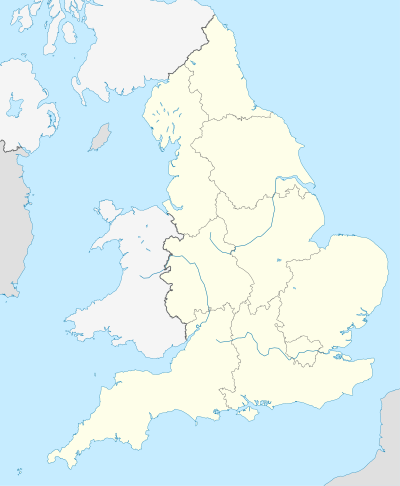 It was held in England from 9 to 23 June 1979. The format remained unchanged from 1975, with eight countries participating in the event. The preliminary matches were played in two groups of four teams each. The top two teams in each group played the semi-finals, the winners of which met in the final at Lord's. The matches played consisted of 60 overs per team and were played in traditional white clothing and with red balls. They were all played during the day and hence started early. The eight teams at the tournament were split into two groups of four teams, with each team playing the others in their group in a single round-robin format. The top two teams from each group then advance to the semi-finals to play in a single-elimination tournament. Highlighted are the countries to participate in the 1979 Cricket World Cup. Eight teams qualified for the final tournament. Sri Lanka and Canada were the only two teams without Test status and qualified for the tournament by reaching the final of the 1979 ICC Trophy. East Africa, who played in the first World Cup, did not qualify this time, which meant there would be no nation from the African region participating in the 1979 World Cup. In a very close semi-final match, England prevailed. New Zealand won the toss and fielded. England began badly, falling to 38/2, before Mike Brearley (53 from 115 balls, 3 fours) and Graham Gooch (71 from 84 balls, 1 four, 3 sixes) resurrected the innings. Derek Randall (42 from 50 balls, 1 four, 1 six) played well in the second half of the innings, as England recovered from 98/4 to post 221 (8 wickets, 60 overs). In the response, John Wright (69 from 137 balls) attacked well in the beginning. However, the loss of wickets bogged New Zealand down, and despite several late flourishes in the batting order, New Zealand started to drop behind. When New Zealand could not achieve the remaining 14 runs from the last over of the match, England went into the final. Gordon Greenidge (73 from 107 balls, 5 fours, 1 six) and Desmond Haynes (65 from 115 balls, 4 fours) set a first wicket partnership of 132 runs in a match dominated by batting. Vivian Richards and Clive Lloyd also contributed solidly, as West Indies ran up 293 (6 wickets, 60 overs) against Pakistan. Majid Khan (81 from 124 balls, 7 fours) and Zaheer Abbas (93 from 122 balls) shared a second-wicket partnership of 166 runs in 36 overs in the response. However, none of the other Pakistani batsmen flourished, with Javed Miandad being bowled for a duck first ball, and Pakistan lost 9/74, beginning with the dismissal of Abbas. Pakistan was bowled out for 250 in 56.2 overs in the high-scoring semi-final, sending the West Indies to the final. England won the toss and chose to field first. The West Indies got off to a bad start, falling to 99/4 with the loss of Greenidge, Haynes, Kallicharan, and captain Clive Lloyd. However, Vivian Richards (138 from 157 balls, 11 fours, 3 sixes) and Collis King (86 from 66 balls, 10 fours, 3 sixes) consolidated the innings. King especially ripped through the English bowling, with a strike rate of 130.3. The West Indies were already at 238/5 when the 139 run partnership ended with the loss of Collis King. Vivian Richards and the tail then took the West Indies to a very imposing total of 286 (9 wickets, 60 overs). The English batsmen got off to a good start. But the openers, Mike Brearley (64 from 130 balls, 7 fours) and Geoff Boycott (57 from 105 balls, 3 fours) scored very slowly. They put together a very methodical opening partnership of 129 runs in 38 overs, playing as if the match were a five-day Test. By the time both batsmen were out, the required run rate had risen too high. Graham Gooch played some hefty strokes in scoring his 32, taking England to 183/2. However, the loss of Gooch triggered the most devastating collapse in World Cup history, as England lost 8/11. They were eventually all out for 194 in 51 overs. Vivian Richards was declared Man of the Match. ^ "ICC Trophy 1979 - background". espncricinfo.com. Retrieved 9 November 2013.